Shoop wanted an identity that felt as warm and friendly as a bowl of their signature dish – soup. 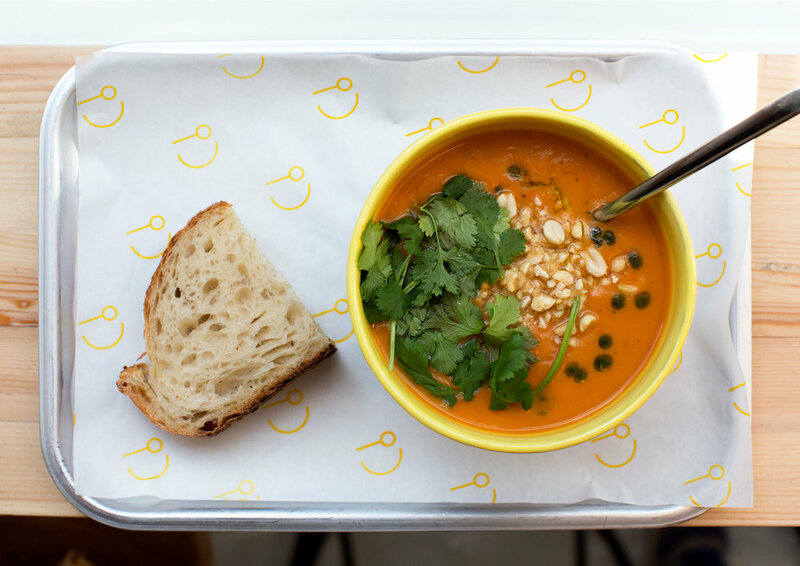 Their mission is to serve a seasonally changing menu of soups, salads and sandwiches, all made fresh on site that day. To reflect their focus on ingredients, I created a palette of food icons to change with the menu.